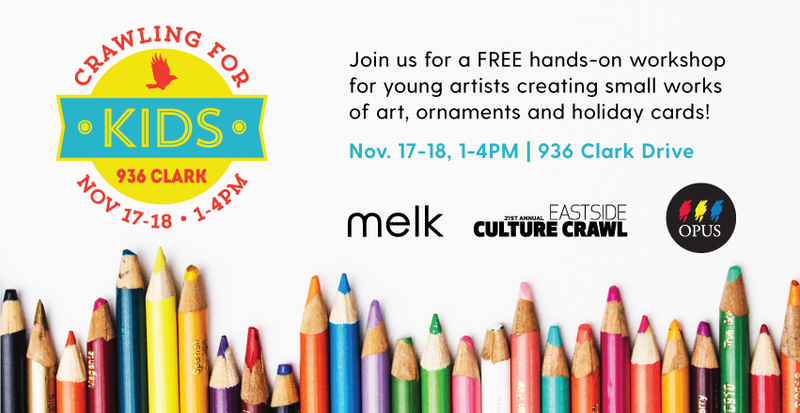 Melk is hosting an afternoon of hands-on creativity for *kids of all ages. This year participants will be able to create works of art and holiday cards using custom designed nature-inspired stamps. 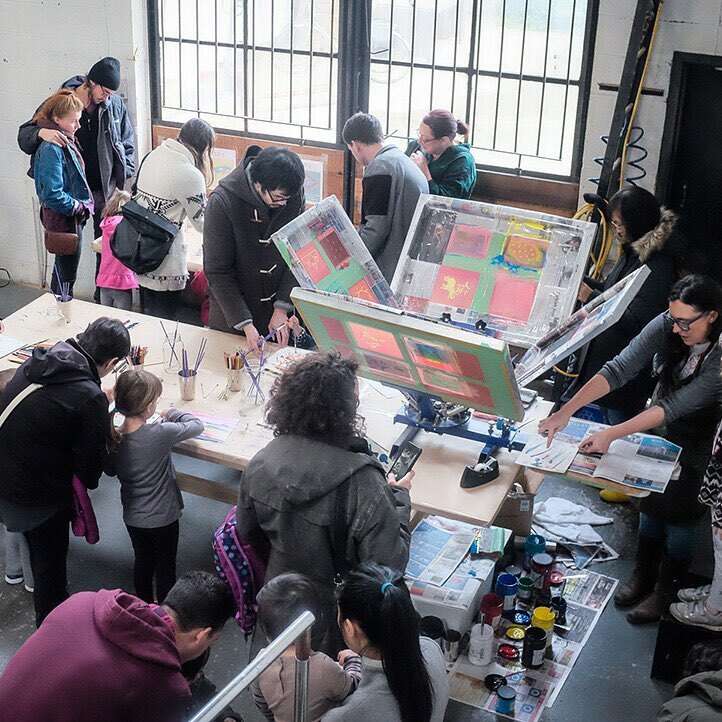 An artist will guide the process in an open craft-table setting at the studio—a fun and engaging way to encourage creative participation during the Crawl! Crawling for Kids wouldn’t be possible without the amazing support of our partner Opus Art Supplies. With their support, we are able to give children the opportunity to engage with the visual arts in their community on a tactile level while helping foster a love of the arts; connecting them with the Crawl in a way that they will remember for years to come. Our studio is wheelchair accessible and walking distance to many other artist studios. Street parking is available on Clark Drive and the side streets surrounding the studio, easily accessible by transit and within walking distance of Commercial Drive. Visit the Eastside Culture Crawl’s site for further information and announcements regarding the art festival. *Please note; young children are not intended to be left at the studio without parent supervision.